Dr. Jean Hoffman is originally from Eugene, Oregon (a fifth generation Oregonian!). She attended college at Texas & A M University where she graduated with a B.S in Biomedical Science and M.S in Health Education. She went to medical school at Tulane University in New Orleans, LA. She graduated Emergency Medicine Residency from Emory University/Grady Hospital in Atlanta, GA. She was the first EM fellow to graduate from Anesthesia Critical Care at Emory University. There, she was the Chief Fellow and part of the critical care and ECMO transport team. 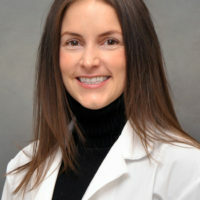 Currently, she is an Assistant Professor of Emergency Medicine & Anesthesia at University of Colorado where she attends in the Burn and Surgical Trauma ICUs. She also attends in the ED with the amazing residents of Denver Health. She loves all things critical care and is passionate about teaching the next generation of EM providers!